Description: This is one (1) stick of acid free and photo safe glue. Made by Avery. Description: This is a jar of Water based Leaf Adhesive from Sepp Leaf Products. Perfect when used with the Amy's leafing or any other leafing you may have. Name: Embossing Tape - 1/4"
Description: This is a package of Embossing Tape. Acid Free, Double Stick, Heat Resistant. Use with Glitter, Beads, Foil, Embossing and more. Description: These are the large size pop dots which are wonderful for making items appear 3-D on cards and in Memory albums. You can buy one or 1000, you choose what you need and order that quantity. For instance if you need 30 then your quantity ordered will be 30. Description: dheres fabric, trims, metal, wood, and more on all surfaces. Size: 5 1/2" x 8 3/4"
Description: This is the tape that is perfect to use with all of those fun stencils from Plane Class. This tape can be used over and over for many of your stencil projects. Description: This is the great Wonder Tape but in full sheet size. You can do almost anything with this tape. Make punch out stickers, Make pins, anything you can think of. You get one sheet in this package. It is double stick, embossable and acid free. 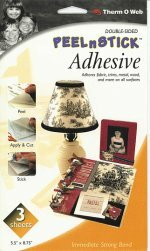 Name: Embossing Tape Roll 1/8"
Description: This roll of Embossing Tape is perfect for all crafts. It is double stick, embossable and acid free. Use it for Glitter, Beads and MORE!! Description: This roll of Wonder Tape is perfect for all crafts. It is double stick, embossable and acid free. Use it for Glitter, Beads and MORE!! Description: This is a 15ft roll of 3/4" embossing tape. It is heat resistant, acid free, double stick and non-curling. Perfect for scrapbooking and stamping. Description: This is a roll of 1" embossing tape. It is heat resistant, acid free, double stick and non-curling. Perfect for scrapbooking and stamping. Name: Wonder Tape - 1/2"
Description: This is a package of Suze Weinberg's Wonder Tape. Acid Free, Double Stick, Heat Resistant. Use with Glitter, Beads, Foil, Embossing and more. Description: This package of permanent bond glue sticks includes 24 sticks of acid free and photo safe glue. Made by Avery. Size: Package is 11" x 7 3/4"
Description: This is a ZIG Memory System 2 Way Glue Pen from the Kuretake Company. It is acid free and xylene free for scrap book use and perfect for greeting cards too!! Just squeeze the pen and roll the glue out. It has a fine ball point tip for precise application. So easy and mess free!! 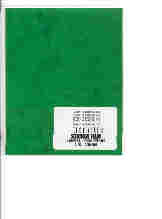 Description: This is a package of Sticky Dots Adhesive made by Therm O Web. In this package is 8 full sheets which measure 8.5" x 11" in size. Acid free and great for die cuts or layering on cards. Package reads: Enough for 70 - 85 Medium Die-Cuts.